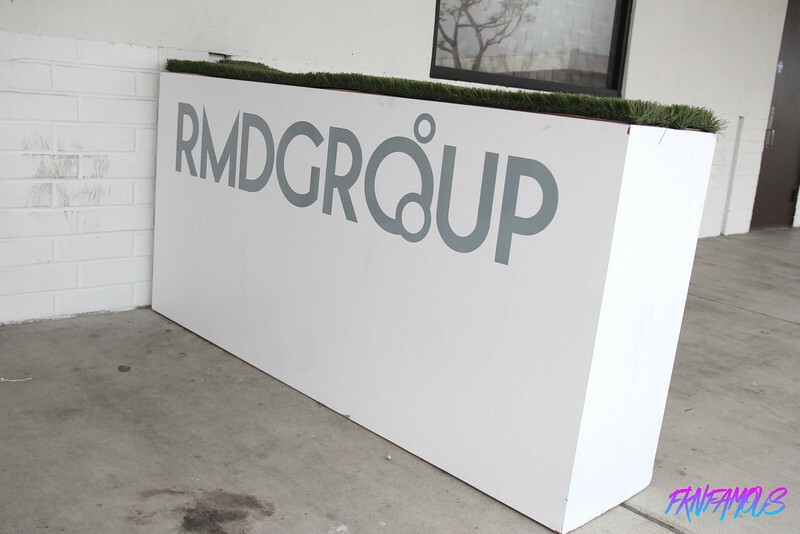 Located in Long Beach, California is RMD Group. Now from the outside, you wouldn’t have noticed hides a few jewels inside. Truely an honor checking out this beautiful location! 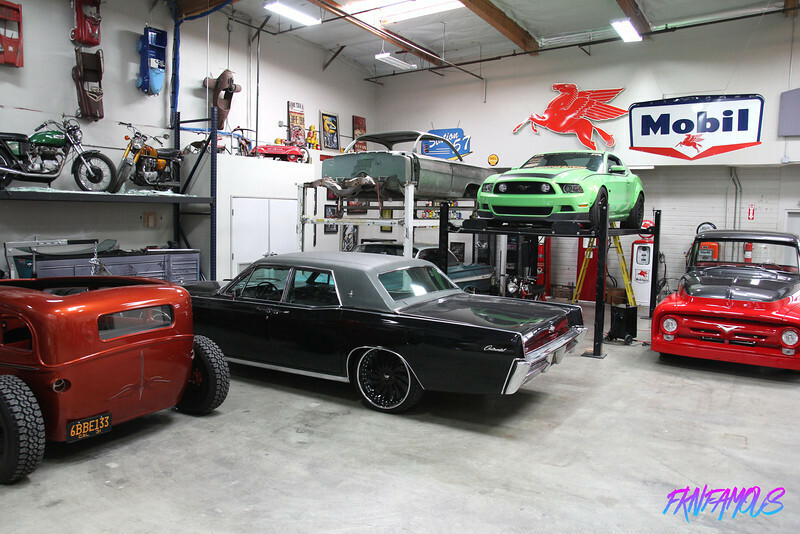 So here is RMD Garage. I really love how clean and organized everything was. Typical shops are very messy and unorganized, so it was really good seeing RMD Garage was clean! 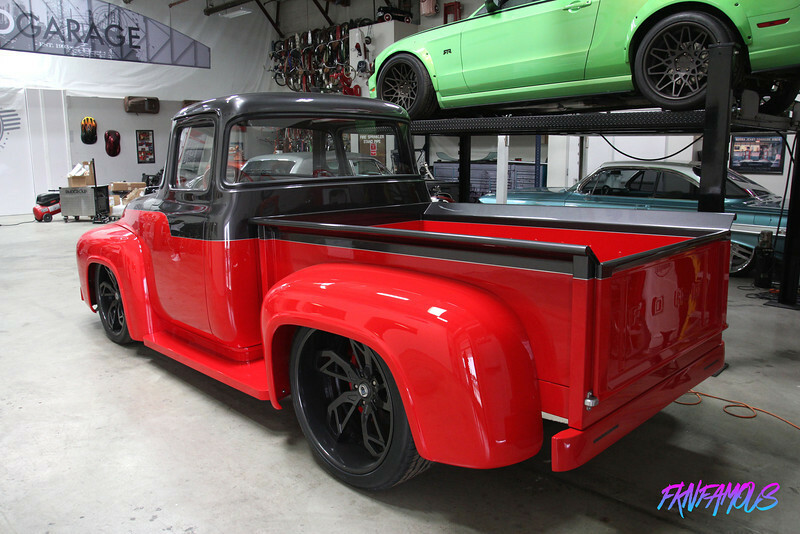 RMD Garage’s famous Ford F-100. 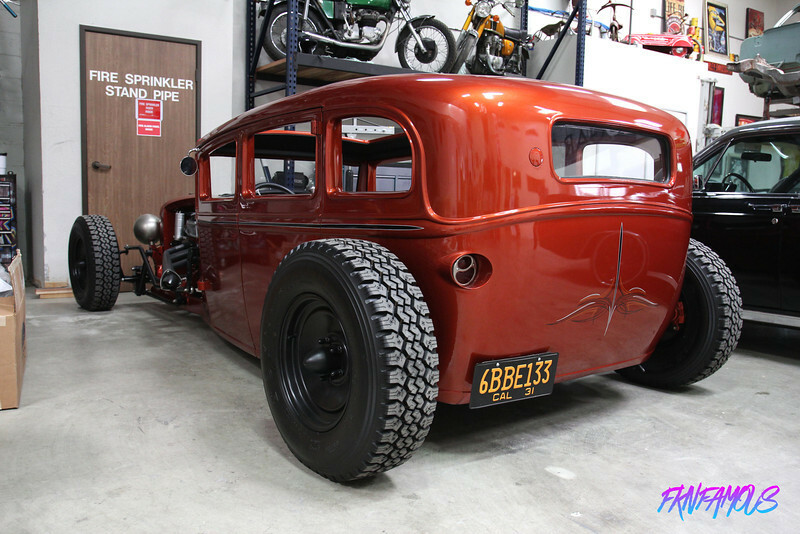 Such an awesome build! 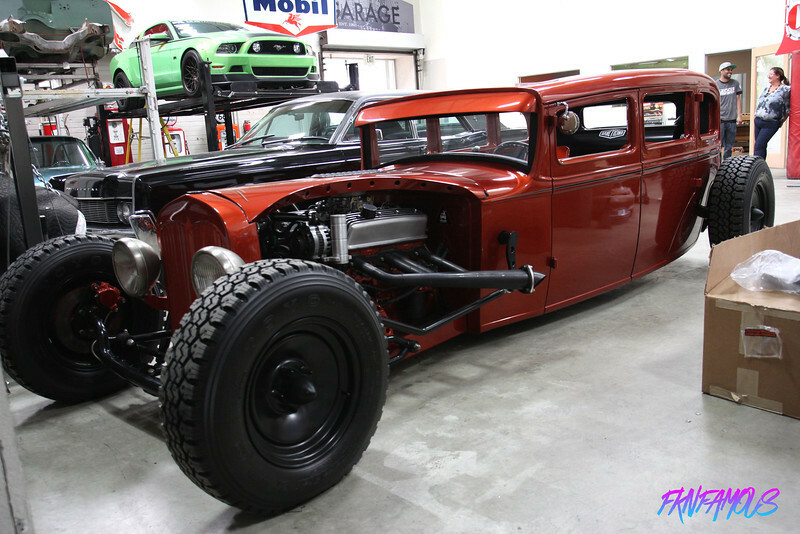 You really just have to see it in person! 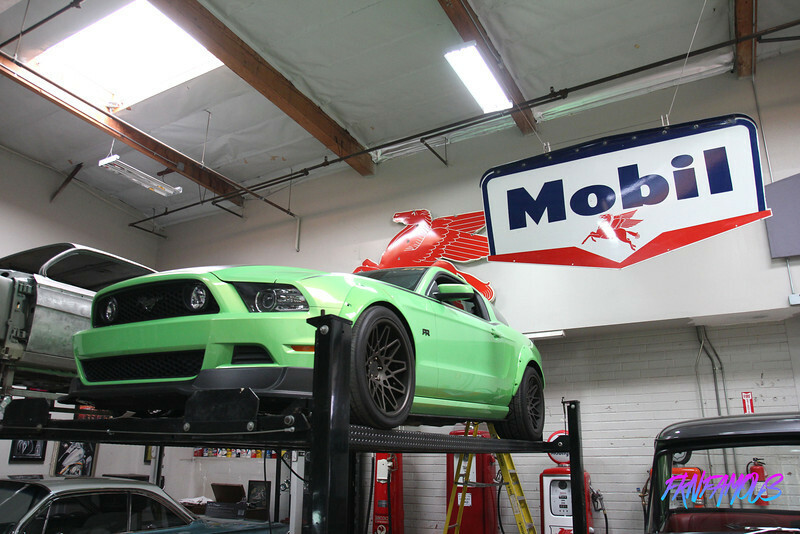 A Mustang RTR, nicely nested on a lift. 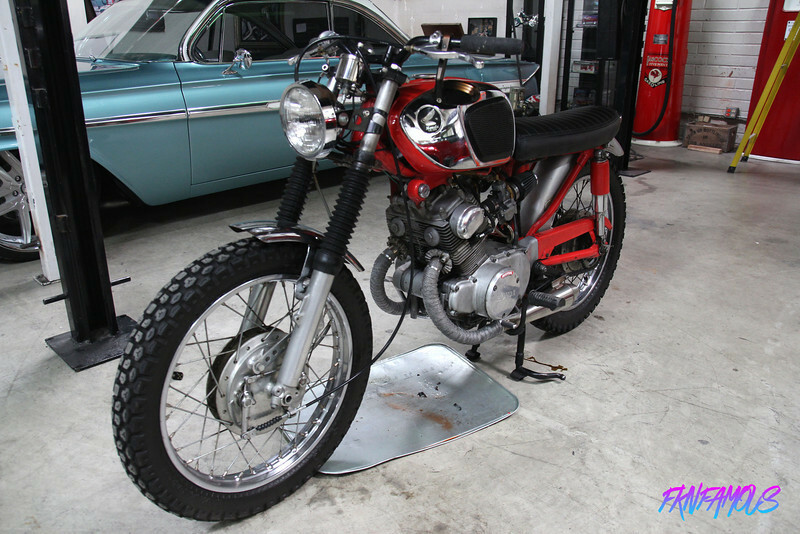 Under the Mustang RTR was this vintage Honda Motocycle. 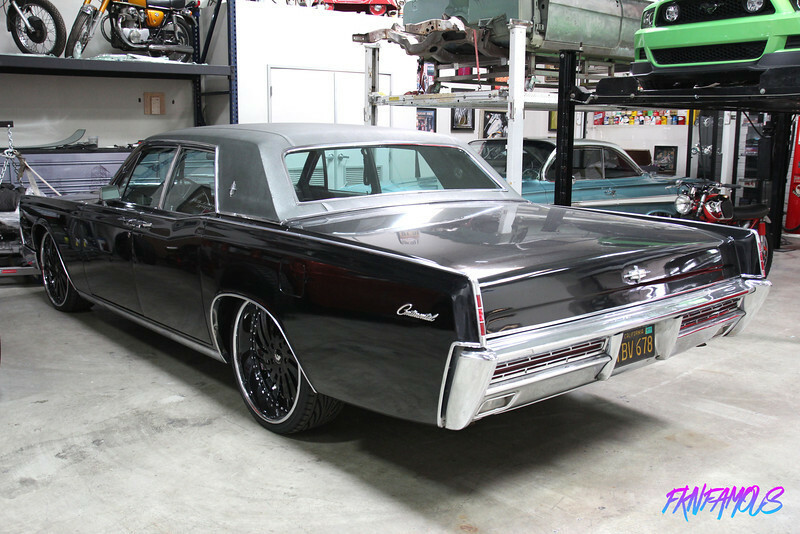 Tiffany & Co themed Impala. 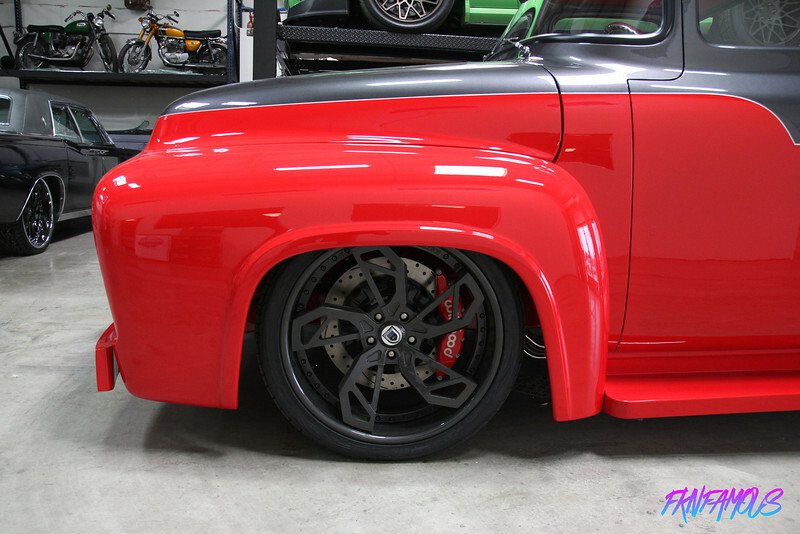 My favorite aisde from the F-100 was this awesome Rat Rod! 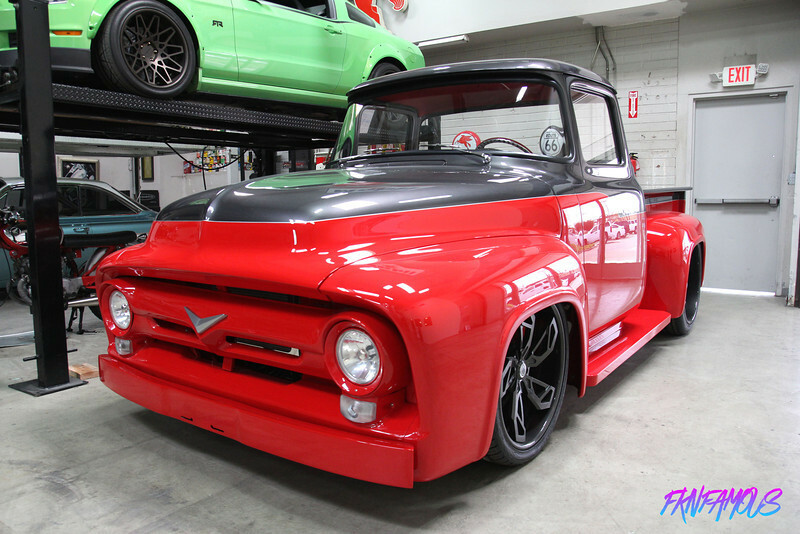 Very nice and clean build! 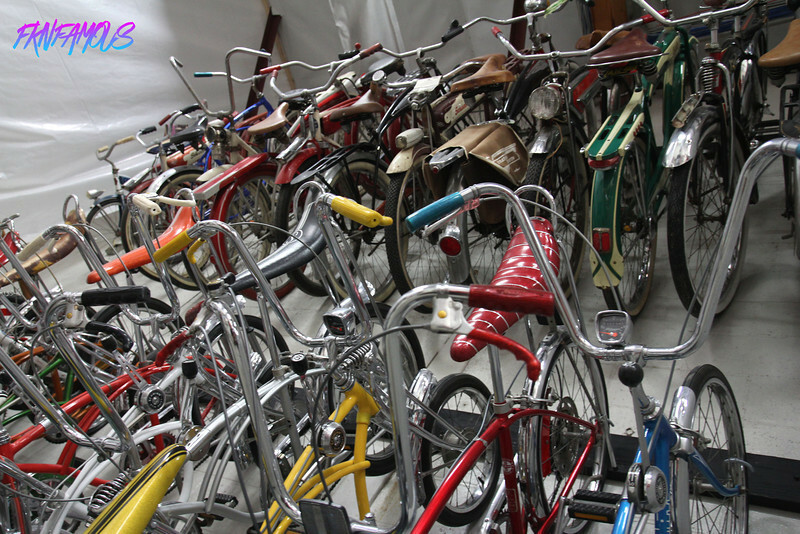 A wall full of Vintage bicycles. 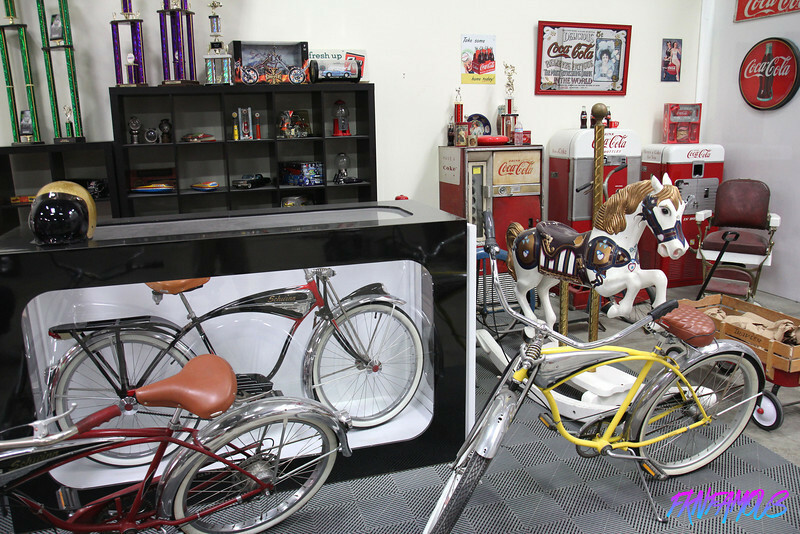 A few more vintage bikes. 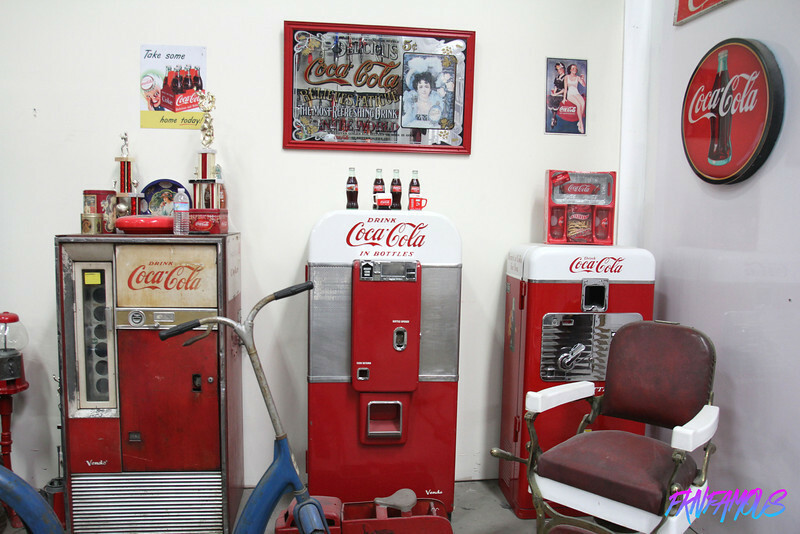 Come vintage Coca Cola Machines and other stuff. 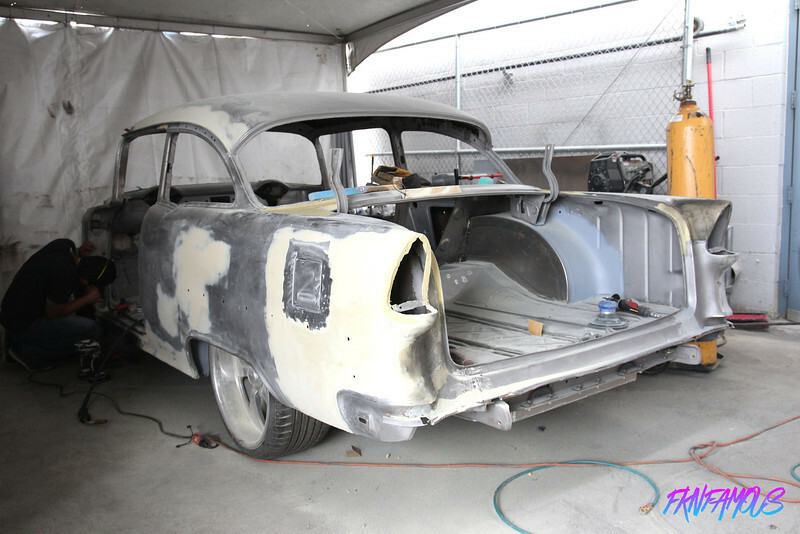 A Chevy Bel Air they are currently working on, can’t wait to see the outcome of this one! 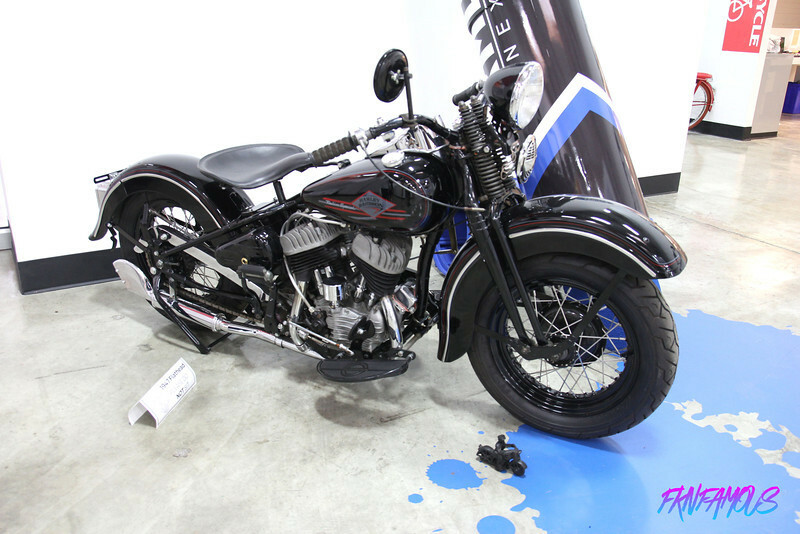 Last but not least we have a 1947 Harley Davidson Flathead.